Style, tradition and freedom of expression are the key values underpinning the philosophy of Ray-Ban, for generations the undisputed world leader in sun and prescription eyewear. Ray-ban debuted in 1937 with the Aviator model created for American Air Force pilots. Unaffected by the conceptual transience of fashion, Ray-Ban immediately made a name for itself, thanks to the absolute quality and authenticity of its eyewear, now more “modern” than ever and worn by countless movie celebrities and trendsetters all over the world. For 2012 and Ray-Ban’s 75th anniversary, the hero products are the Ray-Ban Aviator in its different shapes, with new original details and unique heritage lens – the Ambermatic, and the modernized classic, pairing flair and style with technology and convenience – the Folding Aviator. The Ambermatic. Original Ray-Ban Ambermatic lens from 1978 are reintroduced for the first time into the Ray-Ban Collection. These lenses adjust both color and density for light and weather conditions. Under overcast skies, they are light to medium shade of amber/brown to cut through haze; it improves contrast and sharpens details. changing weather and glare conditions. They always retain high contrast features, also best for driving on overcast days. The Folding Aviator. 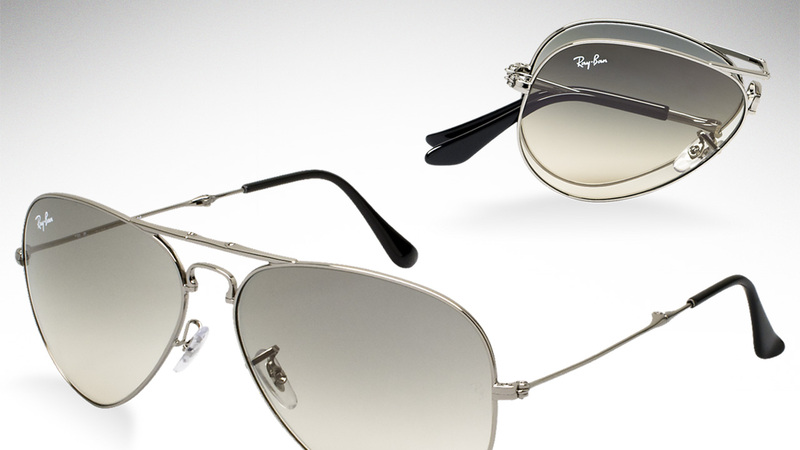 The Aviator was the first model launched by Ray-Ban which proved to be a success in the market. Over time, it has become one of Ray-Ban’s icons and best-sellers and the most imitated sunglasses in the world. It would be recognized as an American design classic. Combining tradition and innovation, Ray-Ban has come up with the Folding Aviator, the same technology applied previously to the Ray-Ban Folding Wayfarers. This is an Aviator you can flaunt and bring with you everywhere you go.